Tsuru is a small, casual restaurant very close to Mansion House tube station. 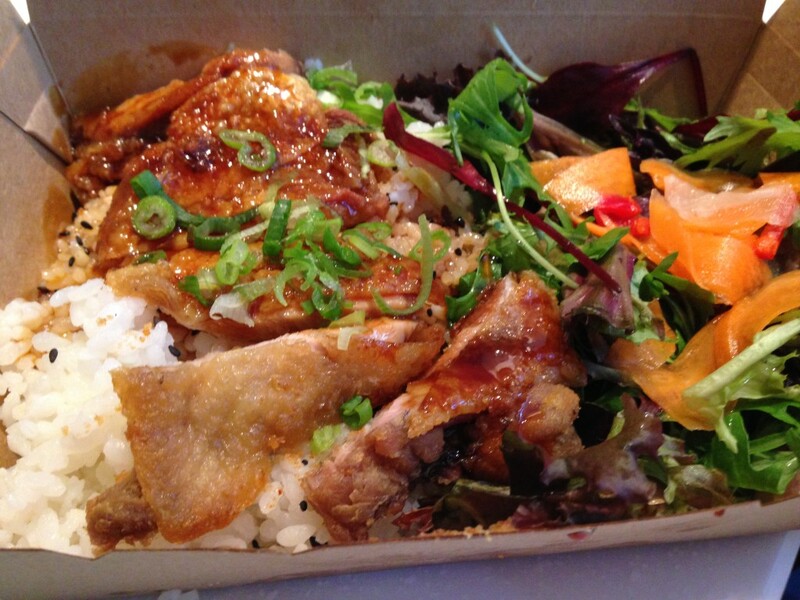 They also have locations in Bishopsgate and Bankside as well as a sister ramen restaurant in Soho called Tonkotsu. The Tsuru menu offers a selection of reasonably priced Japanese dishes from comforting katsu curry to teriyaki bento and sushi. Although I was there to satisfy a sushi craving, the gorgeous aroma in the restaurant and a quick look at the Tsuru menu left me confused and greedy. 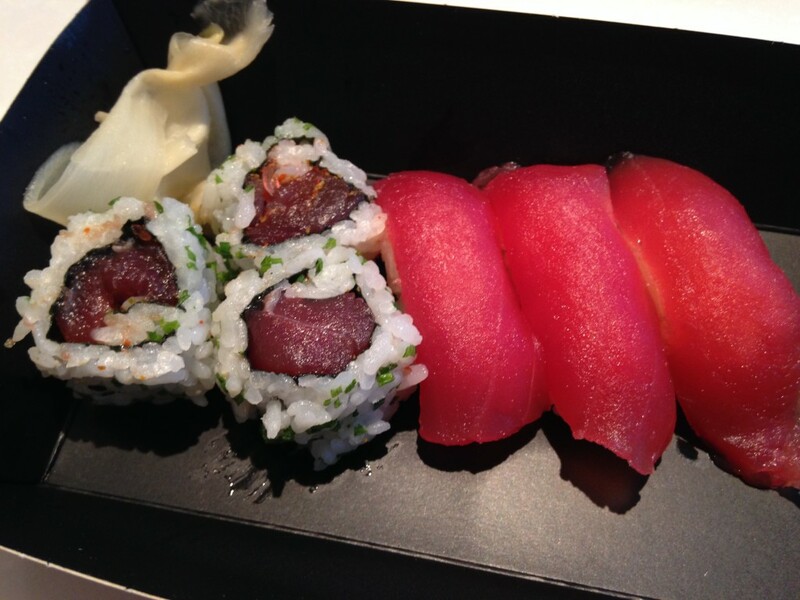 We started with the Tuna Sushi Box which was amazingly fresh and so delicious. 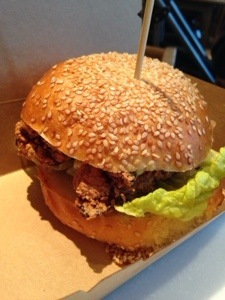 I was also tempted the Tsuru specialty Chicken Karaage Burger – clearly a top seller as there was at least one on every table. I wasn’t going anywhere without trying it. The tender karaage chicken was beautifully crisp on the outside and served in a warm, buttered roll with romaine lettuce and mayo. It was delicious and didn’t last long with our son (who normally hates chicken!) wanting in on all the action too. Needless to say, we ordered a 2nd burger! The Chicken Teriyaki Bento served on a bed of rice with salad was great but honestly, not as memorable as the chicken karaage and the sushi. I saw loads of people ordering the Cod Katsu Curry as well and will definitely trying that next time. Highly recommend Tsuru for a reasonably priced lunch option if you work in the area or are simply looking for good Japanese food at a decent price.